A dream home doesn't have to remain just-out-of reach or all together imaginary. By evaluating the necessities and amenities you seek, a new life in the home you've ben dreaming of will be closer to becoming a reality. Once you have qualified with a lender and know what you can afford, Ward and Associates Realty can help you narrow your search to a few top candidates that meet your needs. Please contact us for a checklist that will help you focus on the features that are most important to you. Our list of amenities are encompassing everything from the basic to the luxurious to help get the ball rolling. Also we strongly encourage you to attend a Home Choice course for buying a house for the first time. This FREE course is offered by Alaska Housing Finance Corporation. You can find those courses being offered at https://www.ahfc.us/buy/homechoice/ before you begin the process. 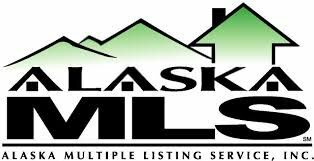 Contact Ward and Associates so we can help make your Alaskan dream come true!